Born in 1900, Evans was an ironmonger with his own shop in Bedlinog, South Wales. 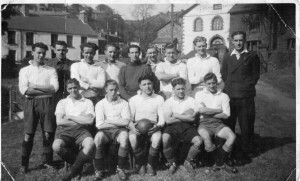 Hailing from Broad Haven, Pembrokeshire, Evans’ father was victimised due to his involvement in trade unionism and both Edgar and his brother, Melvin, were strongly influenced by this. 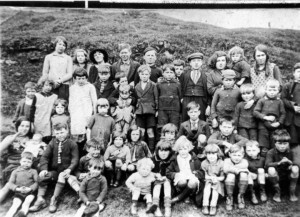 Evans, as secretary of the Young People’s Society at Moriah chapel, succeeded in getting T E Nicholas to come and give lectures locally on the terrible consequences of the First World War. By the early 1920s, Evans had Nicolas speak on the Soviet Union. 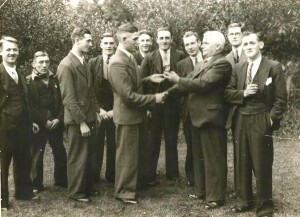 Edgar Evans joined the Communist Party in 1926 and was the initiator of the founding of the local branch. Since village tradesmen were less dependent than miners on the landowners, colliery owners and managers it was an ideal position for him to be in. 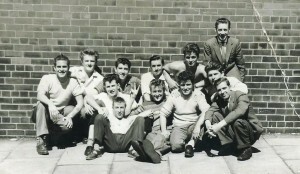 Many of the men who joined the Communist Party, or earlier even the ILP, were victimised by losing their jobs. Evans was Party Branch Secretary at Bedlinog from the beginning until 1943. A member of the Welsh Committee of the Communist Party from 1933 to 1957, he was elected in 1934 as a Communist to a seat on the Gelligaer Urban District Council. However, he was imprisoned in 1936 for 9 months charged with ‘incitement to riot’ due to his heavy involvement in the 1934 Taff-Merthyr Dispute. As a consequence of this prison sentence he was imprisoned for nine months but, more seriously, deprived of his civil liberties for ten years on his release, meaning he was forcibly removed from his position as councillor and only regained his seat on the council in 1947. The police undoubtedly set Evans up, claiming during the trial that much of the trouble in the area emanated from Evans. “He takes an active part in all industrial trouble, He has spread pernicious views and caused trouble for eight years. The police look upon him as a menace to the youth of Bedlinog”. Evans even sold gramophone records in his shop, a small example of how he saw himself infiltrating into all social and recreational organisations in Bedlinog. Such an approach was not abnormal, in fact the miners even managed to control the local GP surgery. Such was the influence of the Communist Party in Bedlinog that they even controlled the Chamber of Trade! 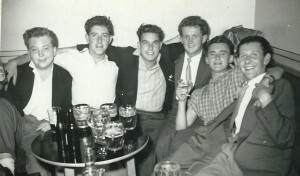 “Red Bedlinog” was at the forefront of the campaign to support the Republican Government in Spain and, despite only having some six hundred adult residents, had five serving in the International Brigade. Bedlinog’s reputation as a `Little Moscow’ was deservedly due to the extraordinary high proportion of Communist Party members and supporters in the town. The Communist Party was not only a powerful local influence, it could attract huge audiences to its meetings, at which leading figures such as Harry Pollitt, Saklavala and A. J. Cook spoke in the late 1920s, and Will Paynter, Arthur Horner, and Lewis Jones in the 1930s. The party organised recruitment campaigns, distributed leaflets, and sold large numbers of the Daily Worker. Like many places, Bedlinog Communist Party saw massive growth of membership during the Second World War. But, as District Literature secretary for the Communist Party in 1943, Evans noted that, “Party membership is now three times more than in 1941, but the sales per member are very much lower”. DOCTOR F H D’SOUZA OF BEDLINOG. This next item is the work of Bill Morris and I am extremely grateful to him for allowing us to share these cherished memories through my website. 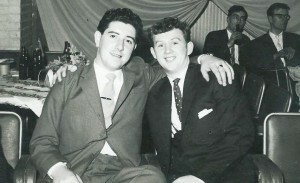 Many years ago Aldo Opel’s parents owned a cafe in Fox Street, Treharris, in South Wales. Aldo and his brother Romeo grew up there and so it became their home town although Aldo has spent most of his life in Canada. We regularly correspond by email and a few weeks ago Aldo asked me if I had known the beloved and respected Dr D’Souza. The name was unknown to me so he told me of his first image of the Doctor and his family arriving at the Rink one Sunday to attend Mass. 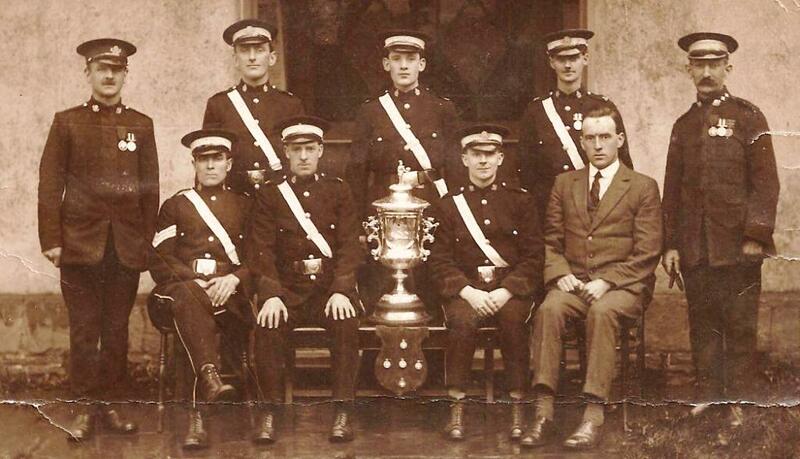 According to Aldo the Rink was also the home of the St. John’s Ambulance Brigade. It had a reasonable sized forecourt and was situated at the bottom of Thomas Street just below the cafe and almost opposite Brynhyfryd Chapel. My sister Olwen and her friend Renee would make up their faces on a Friday night and go down to the Rink for the dances and to meet the boys. 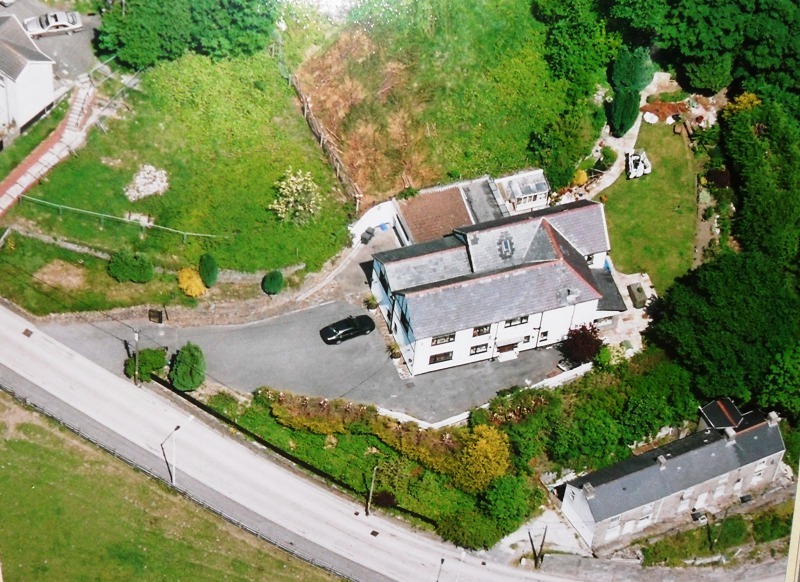 So you see that the Rink served many purposes for the people of Treharris. Anyway, back to Aldo and his image, he remembers the Doctor and his pretty wife with their thirteen children and the thought came to him that they took up the two front pews! 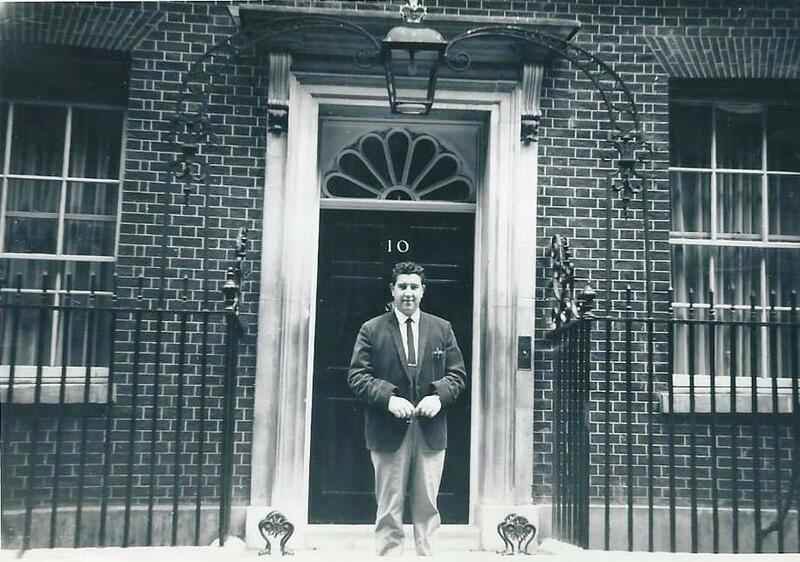 My name is Bill Morris formerly of 18 Webster Street, Treharris and I decided to write a letter to the editor of the Merthyr Express, which started a flood of letters, emails and phone calls, all in praise of the great man of Bedlinog. 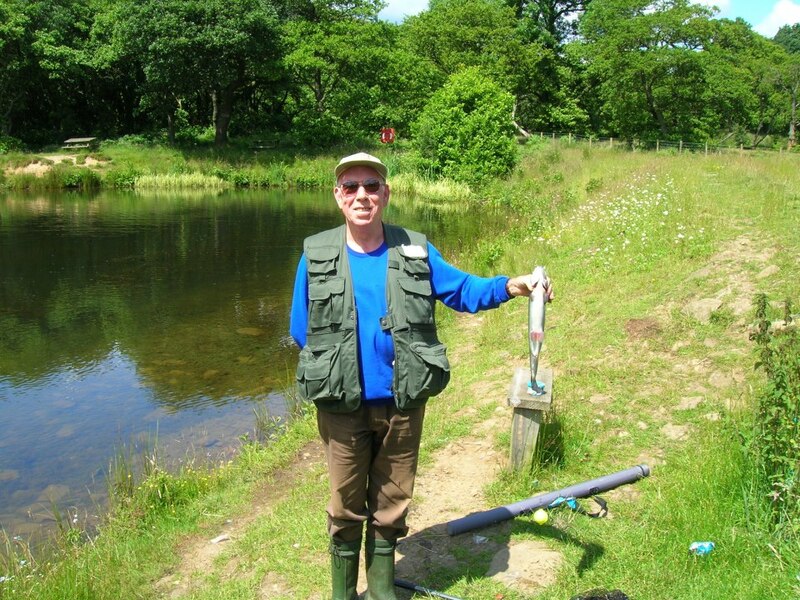 The following stories belong to the family and friends of Dr F.H. D’Souza of Bedlinog. ‘my name is Rosemary D’Souza and I am the eldest daughter and the only one unmarried. 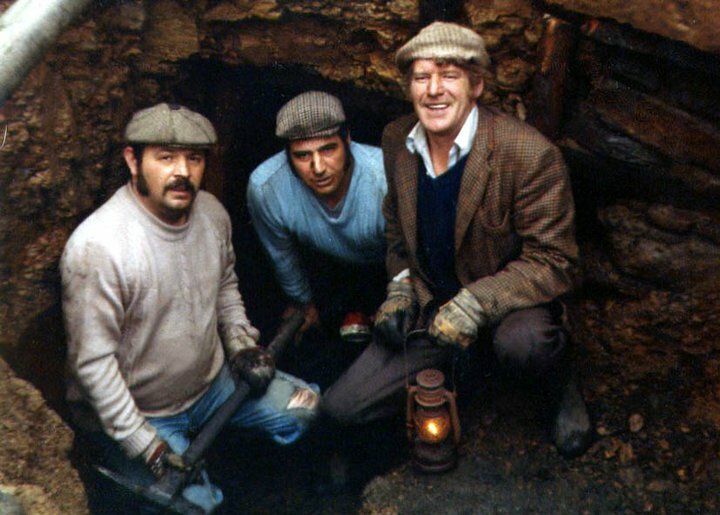 At present I am writing my autobiography as part of a genealogy project so I have been doing some research into stories like the time my Dad went down the mine and stayed three hours with his patient, Idris Owen, trapped by his leg. Sadly Idris died just over a year ago but outlived my Dad by many years. My sister Patti tracked down Idris and he gave a verbal account on tape. I offered to transcribe the tape but did not understand all the mining terminology so went to meet Idris and we became friends. Sadly he died last year and his family found my letters and rang me up to tell me. Patti has also, through “Ginge” (Emlyn Jones), found the lady in the village that was born dead and Dad prayed and breathed into her mouth and the baby lived. Dad said the mother was very poorly and would not have wanted to live if her baby died. The midwife went and told the press much to Dad’s horror. 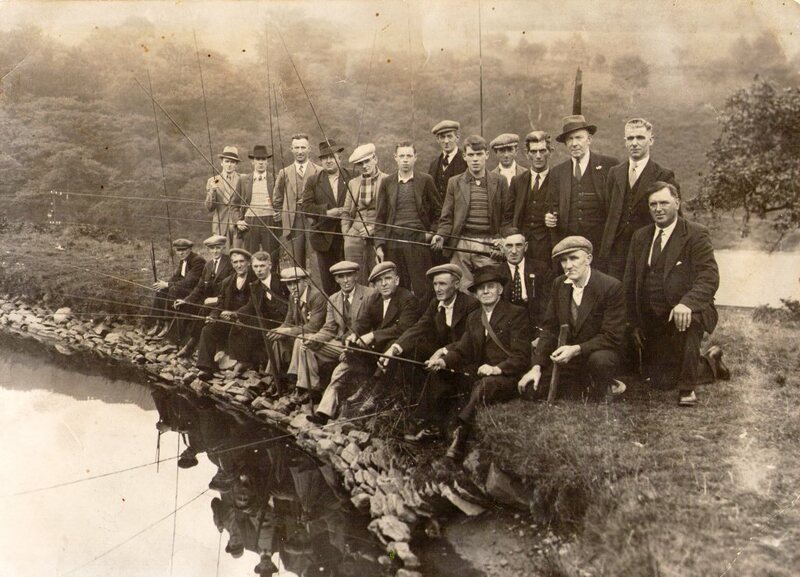 To spur them, as they struggled with a wall of coal, 400 feet underground at Taff Merthyr Treharris, they had the example of 36 year old Idris Owen, married of Bedlinog. Faint cries of “Hurry up boys” had led them to Owen. His head and shoulders were in an air pocket, it had saved his life. Forty two year old Dr. Francis de Sousa of the rescue team injected Morphia and then remained with Owen, talking encouragingly until he was freed three hours later. He was taken to hospital with leg injuries. One of the rescue team said last night “The courage of the doctor and Idris Owen as they waited there together is something the miners will never forget. 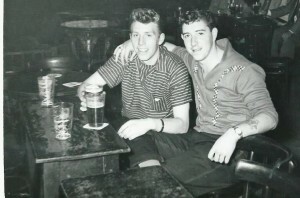 The two men still buried are Leslie Hockley aged 34, married of Merthyr Vale and 21 year old Clive Emery of Merthyr. This was the second south Wales pit accident in two days. 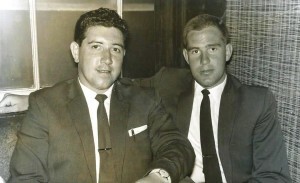 As the eldest daughter I was very close to my Father and witnessed some of the amazing things he did. Mike, the brother after me, is also a doctor working in Kingston up Thames. Dad owned a Buick and a long wheeled Land rover. He built benches into the land rover to accommodate the little ones of the family. 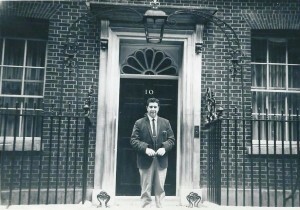 He painted LIZ on the door of the passenger seat after my Mum. When the Queen and the Duke of Edinburgh came to Wales a reporter moved us up near to the front as he thought LIZ was put there in honour of the Queen. We were all delighted to be given a better view so we didn’t put him right! We older children used to go on call with Dad to Merthyr General Hospital where he spent hours operating on his patients and those of the other GPs. Dr Monnelly was my Godfather and was the anaesthetist who saw his work and was full of admiration for him. Dad had tremendous vitality (never walked if he could run) and was totally dedicated to his patients and of course my mother and family. When he died prematurely from a heart attack caused by the stress of being cheated out of the doctor’s pension on some technicality he was only 53. 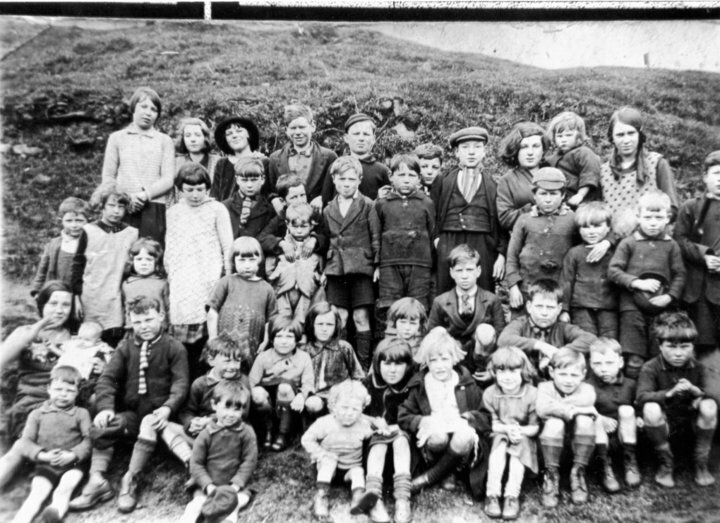 There were nine children of school age or under and the only pension my Mum received was £4.50 a week. The youngest Nikki was 3 years of age and she was 50 last year when my Dad, if he’d lived, would have been 100. My younger sister Patti was very interested in your project as she has been writing my Mother’s life story. 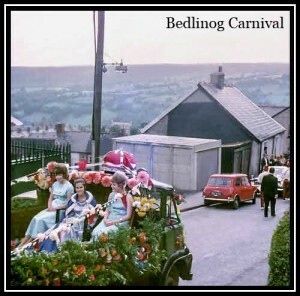 She made contact with Ginge (Emlyn Jones of Bedlinog) who as a small boy was introduced to Dad by the previous doctor in Bedlinog as being bilingual in Welsh and English. I always thought we went to mass at the junior school in Ystrad Mynach and was fascinated to be reminded of a brief time at the hall you mentioned, (the Rink, Treharris). I do remember that if you wanted to go to confession the priest had to sit on the loo in one of the halls! When Dad died I was devastated. Being his eldest daughter and similar in looks and temperament I was very close to him. After we moved from Wales I decided to visit his family in India. His father was also a surgeon and could speak 8 languages and was a Major in the British Army. I never met him but used to write to our grandmother, his mother. When Dad was operating on his patients the tools at Merthyr General were so dreadful that he wrote to his Father to ask him if he had finished with his surgical instruments. My Grandfather sent them to him. Dad left those at Merthyr General when his job was taken there at the time of the introduction of the National Health Service. In spite of Dad’s record of brilliant and innovative surgery he had to take another exam and at one stage he had to go to some specialist in Edinburgh for an oral exam. He was way ahead of his examiner who I think deliberately failed him out of spite as Dad tried to tell him of a better way of doing a particular operation. Mum said she despaired of his honesty. At one time because of his skills he was invited to join the two plastic surgeons who became famous for their work on the war wounded. The operations were performed at the Queen Victoria Hospital in East Grinstead. 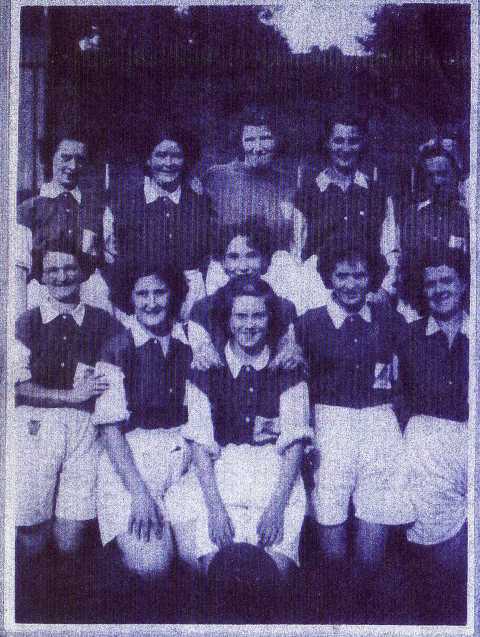 Their ex-patients started a club which I think was called ‘The Guinea Pig Club’. 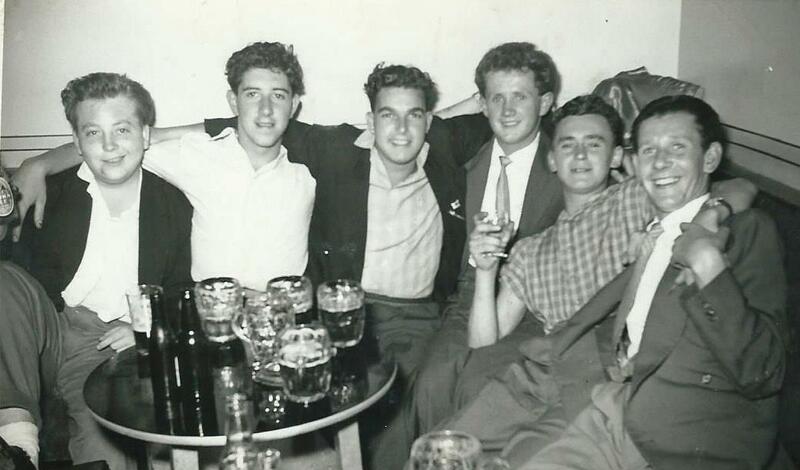 They used to meet at a local pub for a reunion lunch and I understand that the reunions still continue. In those days plastic surgery had a bad name for just beautifying people. 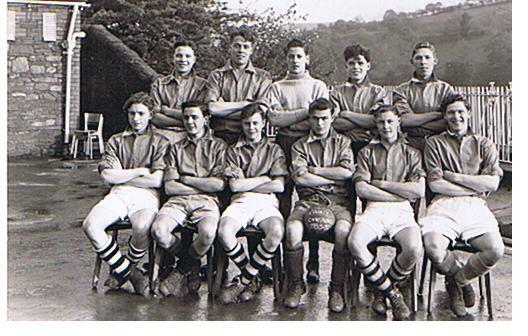 Before he died Dad told me he would have loved to have been part of that team when he learned what they were doing but, on the other hand he did not want to leave Wales and his patients. Patti has also, through Ginge (Emlyn Jones), found the lady in the village who was born dead and Dad prayed and breathed into her mouth and the baby lived. Dad was the only doctor for the Welsh National Pilgrimage to Lourdes. He was responsible for I think 200 patients many of whom were bedridden. Mr Brother Greg went with them as a strong teenager, very useful for helping to lift many of the bedridden. Our brother Chris died in his early 30s leaving a wife and two little girls. 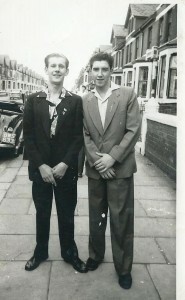 Chris was considered very good looking and we had a saying in Wales “Too beautiful to live”. His death was even more shocking than Dad’s because of his age. They were both very good badminton and tennis players. At one stage in my life I went to Poona (now spelt Pune) in India where my Dad was brought up. 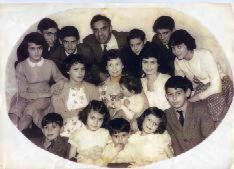 I was so close to my Dad that after he died I desperately wanted to meet his family. We had all met his sister Charlotte when she visited us in Wales so I stayed with her in Pune in the old family army bungalow. Before she retired Auntie Lottie was promoted to Colonel in the Indian Army. She took me to meet all his siblings who were very excited to meet me. I’ll never forget being taken in the arms of his eldest brother Joe who was almost near to tears. He said he never thought he would ever meet one of Francis’s children. I even went to the old family property in Calangute, Goa, where his brother Leo came by boat to meet me and shaded me from the sun. He reminded me so much of my Dad with his gentle care in protecting me from the sun and the way he shuffled in his slippers at night. My Dad told me once of how he’d been busy operating at Merthyr General and was about to pack up when a young girl was brought in. Her brakes had failed her on Dowlais hill and she’d gone straight into the wall and the top of her face was torn away so that you could look down inside her face. Although she wasn’t his patient he sent for a photograph of her and was given a tiny one. From that he reconstructed her face. Years later this very attractive young lady came to his surgery to introduce herself to my Dad. He was really chuffed. 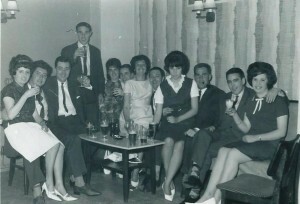 I’m afraid I take after my Dad as a people person which is why I eventually became a teacher. We did little science at the convent so helping the nuns out in Bedford for a year teaching primary children put me on the path to teaching. Thank you so much for giving some recognition of my Dad and his work. This next letter is from Emlyn Jones (Ginge to the D’Souza family). I was born in the village and have resided here for the past 83 years. I can from memory recollect being the messenger boy for the Doctor when he arrived in the village; I was 10 years of age. I also recollect his marriage to his wife Betty and the large and happy family arriving over the years. I am sorry I do not have any photographs to offer to you but from my memory the Doctor was held in highest esteem in the village and of course Mrs. D’Souza after their marriage. The Doctor used to drive around Bedlinog in an old Buick and sometimes Land rover. He was always so proud of the vehicle and had LIZ painted on the door, named after his wife. 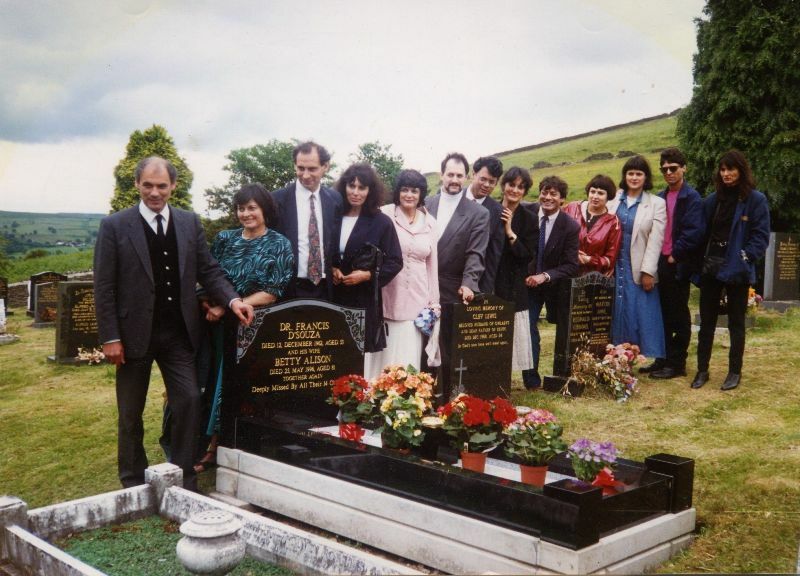 The residents of the village were saddened when the Doctor left us and now they are both buried at the Graig-y-Fargoed Cemetery on the mountain above the village. The gravestone is engraved Doctor and Mrs D’Souza of Bedlinog. 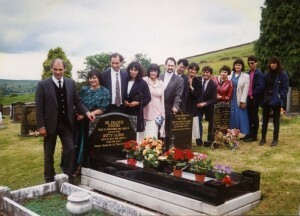 The final resting place of Dr D’Souza and his wife, high above the village in the Graig fargoed Cemetery, Bedlinog. Dr. D’Souza was my family Doctor for many years until he sadly passed away at an early age. He was a very caring Doctor, one in a million. In 1948 my Brother was critically ill and my parents phoned Doctor D’Souza to come to our home in Bedlinog. When he examined Teifion he announced that he had double Pneumonia and was too ill to move to hospital. He stayed in our house all night asking my Mother to keep boiling water on the stove and he told her next morning that Teifion was at death’s door when he arrived. He saved my brother’s life that night. 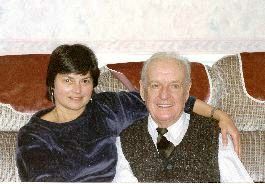 My cousin in law Rita Davies told me she had cartilage problems in her teens and Dr. D’Souza called at home to see her. He told her to sit on the piano stool and he pulled her leg and she felt her knee click. It sorted out the problem but it was painful for a few seconds. Mrs D’Souza and her grandchildren. 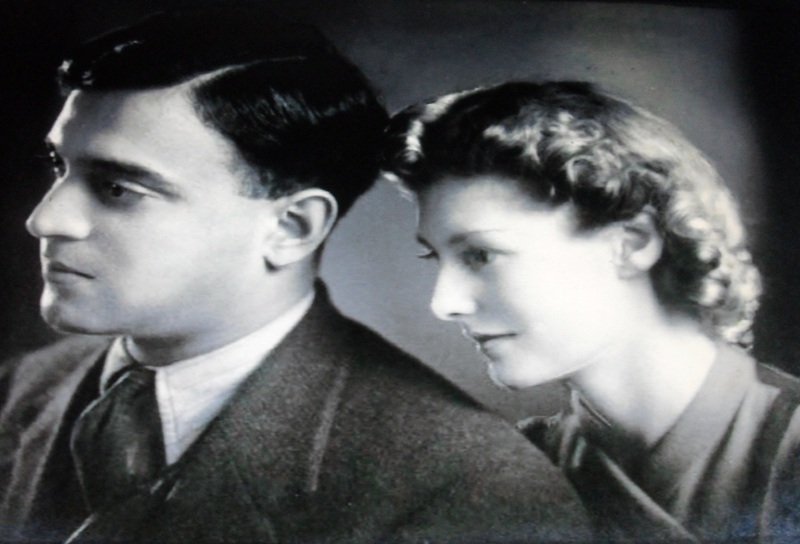 His wife was a lovely lady and although they had about 15 children Mrs D’Souza had the looks and figure of a film star. The Doctor used to play badminton regularly and I do believe he was playing badminton when he collapsed and died. The Doctor was my parents’ doctor when I was a child and lived in Nelson. My parents always praised him highly. My memories are when I was young my ankle always gave out if I went on uneven ground and swelled up a bit each time. One of my parents would take me up on the Red and White bus to the Trelewis surgery and when we went up he always put you at ease. He would say to me while holding my foot to look up at the houses directly across the road and say that someone was looking at me from one of the houses. When I did look up he would click my ankle back into place. He used to play tennis at Nelson Welfare Pavilion and I believe he had a heart attack on one occasion. He had a lot of children. When I read your advert in the Merthyr Express dated 28-1-10 regarding Dr. D’Souza it brought back memories of the stories my Gran used to tell me. One of these stories was about my Grandfather when he worked in Nantofien Drift. He was working nights and where he was working there was a ‘cave in’ and it came down on top of him. Dr. D’Souza was sent for. 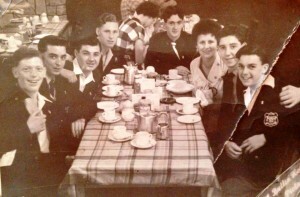 By the time he arrived the men had got my Grandfather out from under the fall but they were still underground. Dr. D’Souza went down and he saw my Grandfather, he could see that his neck was dislocated and it had come out a few inches. He told the men to hold him down and he put his neck back. Dr. D’Souza told my Gran to rub warm olive oil into his neck, back and legs every day. He also said he would never work again. My Grandfather was back at work within six months and because my Grandfather had gotten over his injury so quick they called him the ‘Miracle Man of Nantofien. I hope this information will help for your website. My Grandfather’s name and address was Leonard William George, 35 Caerhend Street. 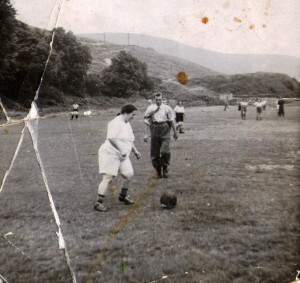 Penydarren, Merthyr Tydfil. I have read your letter in the Merthyr Express and having been a patient of Dr. D’Souza for many years and I have much respect for him as he was a wonderful doctor. 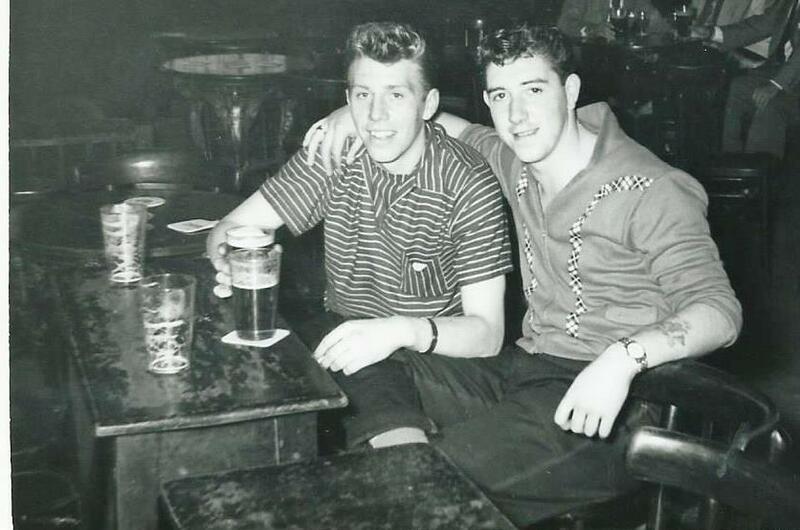 My father was very ill (he died in November 1945) and the Doctor often visited him late at night and he would sometimes say to my father “Here Will, have this two shillings and put it on a horse tomorrow”. 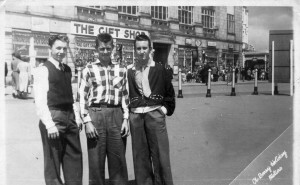 We did not have much like, even in those days, so my father really appreciated it because he did like to have a bet now and again. My Mother was taken ill and when Dr. D’Souza visited her she had a strangulated hernia. By the end of the day he had taken her to hospital and operated on her. What a difference it would be in these days! When I was expecting my baby the maternity nurse gave me a note to take to him. He said he had to turn the baby because it was in the wrong position. After doing this he told me I was having a boy. I asked him how he could tell and he said he could feel the extra bit of flesh, and he was right I had a boy. As a family we missed him when he retired and I am sure doctors do not come in the same mould as him. As well as making contact locally on my behalf. 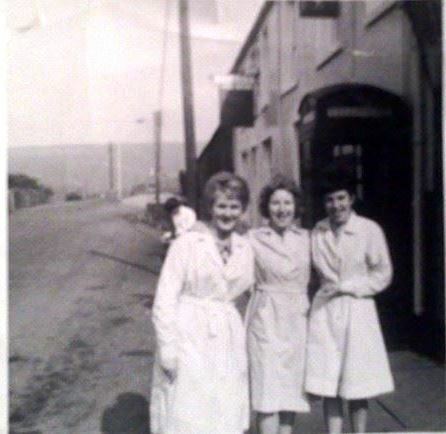 I have known Paul’s family from way back in the 1930s when they lived in 5 Pritchard Street, Treharris. Without the help of the Merthyr Express the story might have died and I am indebted the editor Gordon Caldecott for his support. The first response was from Dr. D’Souza eldest daughter Rosemary who has been a mine of information. 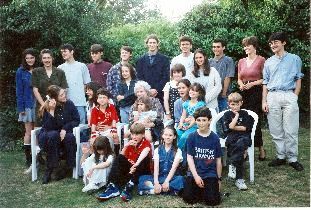 The second contact was Rosemary’s sister who has supplied many of the photos within the story. So many people have been in touch with me so to everyone who has made the link thank you all for your part in bringing the story of Dr. Francis H. D’Souza of Bedlinog. 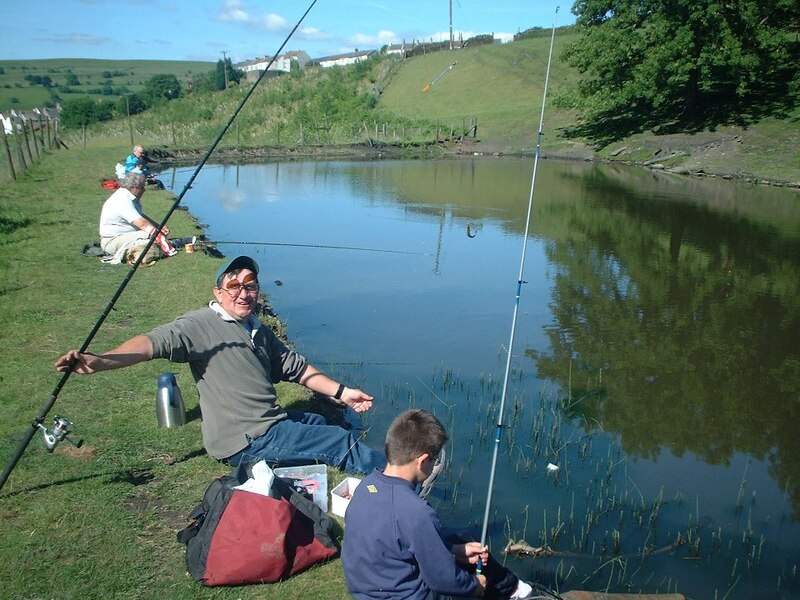 Barrie was born in the Merthyr Borough on October 17, 1969 and he lives in Bedlinog. He really has put the village on the map with his achievements playing darts. Most of the big darts stars of today catch the bug early – but not in the case of Barrie Bates. He started throwing tungsten at the grand old age of 27! Barrie is a true ambassador for Bedlinog and Wales and has a passionate following from the village and surrounding district. He made a great impression on the circuit in 2006, winning the John Smiths Singles in February and May’s Le Skratch Sarantos Retsinas Memorial event in Montreal. He also reached two Regional Finals of the UK Open in March (losing to Chris Mason and to van Barneveld in November. He reached two PDPA Players Championship finals in 2006 losing to Colin Lloyd in the Isle of Wight in June, The best victory of his career came in November 2006. He won the Players Championship tournament in Holland and performed brilliantly to beat Phil Taylor in the final by 3 sets to 2. Every set went to the deciding leg but Bates kept his cool, with a 100 plus average, to secure a first ever win over Taylor. He made his World Championship debut in 2007 as the number 17 seed, but suffered a surprise first round defeat to Canadian Brian Cyr. In the 2008 World Championship, Bates got to the third round only to lose to Kirk Shepherd. In the 2009 tournament, Bates defeated Northern Ireland’s Felix McBrearty and American Bill Davis to reach the third round again, this time meeting Mark Dudbridge .winning 4-0 with checkout percentage of 60% to reach the quarter finals for the very first time. He lost in the quarters however, falling to twelfth seed Mervyn King by five sets to two. He also qualified for the first ever Grand Slam of Darts but missed out in a tough group featuring Kevin Painter and Gary Anderson and he also hopes that his successes can persuade the next batch of Welsh greats to take up the sport… he believes the talent is there and with encouragement, the youngsters will come back to darts in a big way. His nickname is Batesy, but is also known as Champagne due to his bubbly character on and off the oche.Barrie comes on to the stage to the music of Madness. Away from darts, he is an avid follower of Cardiff City. I need help with the first ones all donated by Teifion Tabs Williams, he will be in most of them but who are his mates? 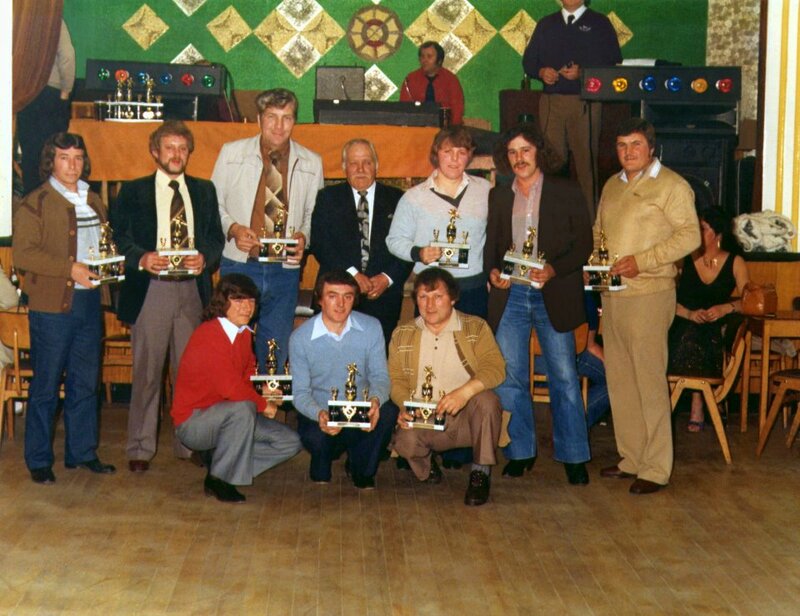 L-R Ronnie Roberts, Malcolm Cowles, Freddie Jenkins, Dennis Rees, Glyn Williams, Waitress, Teifion Williams, Tommy Hake. 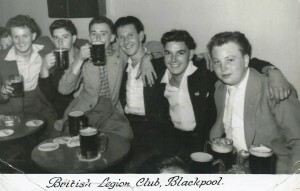 Sitting – Alan Harding, John Humphrey’s, Cecil Vaughan, Vince Farr, Ron Morgan, John Rees. Dai Farr on the left, Bernard Harrison on the right…unsure of the name of the young lad in the middle. 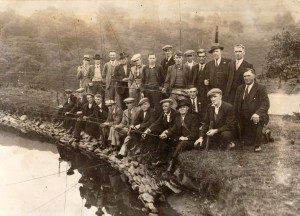 Bedlinog Angling club, not sure of the date, 3 people that are in the photograph are Harry Roberts, Will Rees and Daniel Farr. 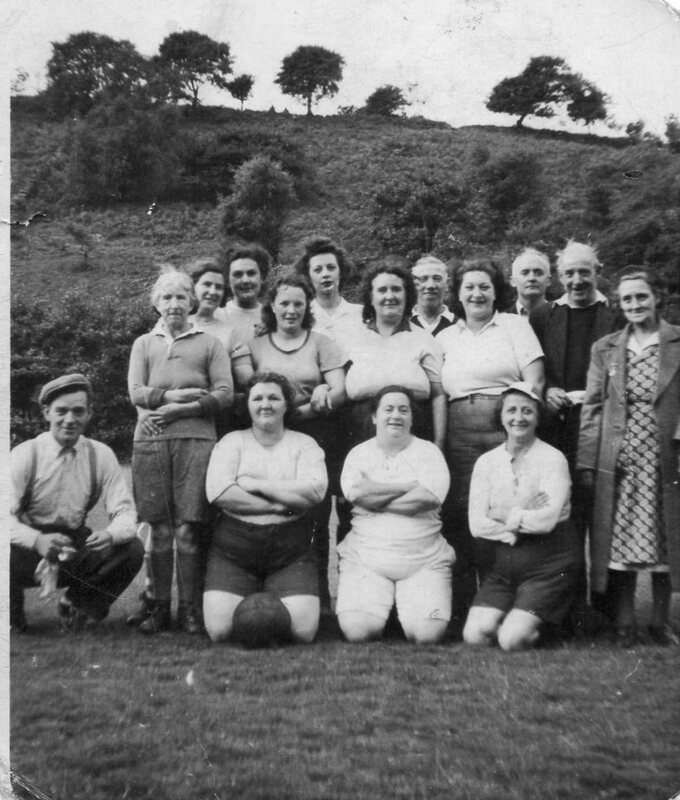 Below is a photograph lent to me by Jill and Malcolm Cowles, Trelewis. 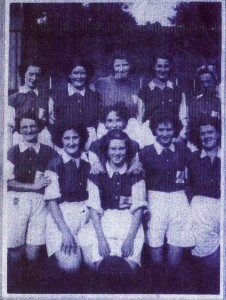 It is of a Bedlinog Ladies Football team, approx 1950? 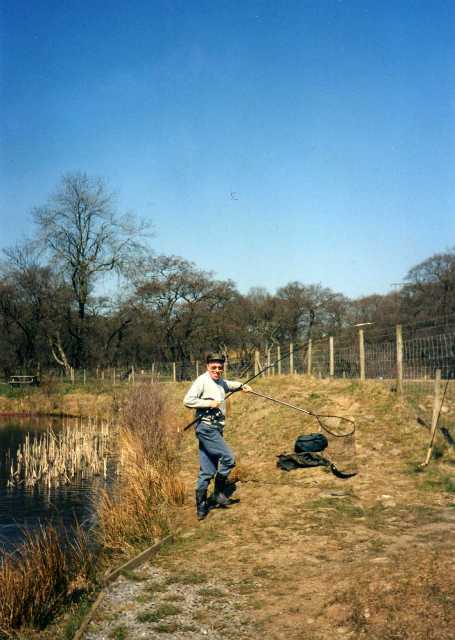 Above we see Terry Garbett fishing on the pond near Colly Row. The Following information is courtesy of Carwyn Hughes, a former resident of Bedlinog who gathered this information for us. Many men and women from our area played their parts in the two great wars but some paid the ultimate price. Carwyn has found information about some of Bedlinog heroes who lost their lives. David Thomas Williams one of over 70,000 names on the Thiepval Memorial who have no known graves. 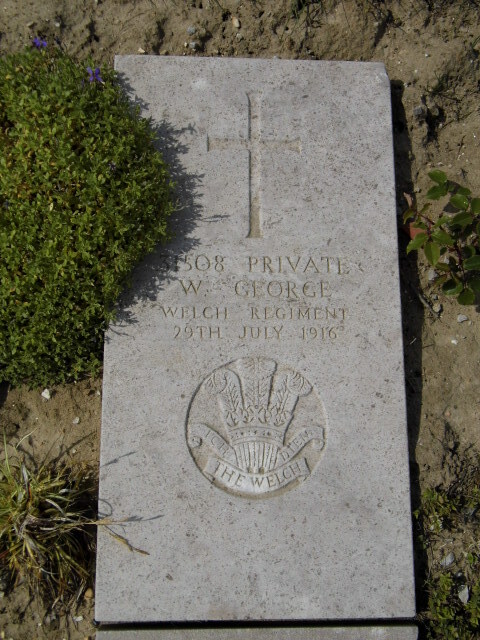 William George’s grave at Wimereux near Calais. The graves here are laid flat because of the sandy ground. Emrys Rollings grave at the Caterpillar Valley Cemetery, Longueval. Emrys had lived in Commercial Street, Bedlinog. John Minton’s name is on this Cambrai Memorial, Louverval. He, like so many tens of thousands, has no known grave. The following men with connections to the Bedlinog area died on active service in the First World War. William Bevan. Also named on Guest Keen Nettlefold colliery memorial, now in the Taff Bargoed Centre. Arthur Thomas Burston, Lance Corporal 6543. Died 07/11/1914, aged 26. Worcestershire Regiment 3rd Bn. Ypres (Menin Gate) Memorial. Son of the late George and Jane Burston; husband of Margaret Mary Burston, of 15, Hylton Terrace, Bedlinog, Cardiff. Enlisted at the age of 14; served 12 years in India. David Benjamin Davies, Company Serjeant Major 240286. Died 04/11/1917, aged 26. Welsh Regiment 1st/5th Bn. Beersheba War Cemetery. Son of Benjamin and Sarah Davies, of 5, Powell St., Bedlinog. S Davies, Private 30440. Died 26/10/1918, aged 21. 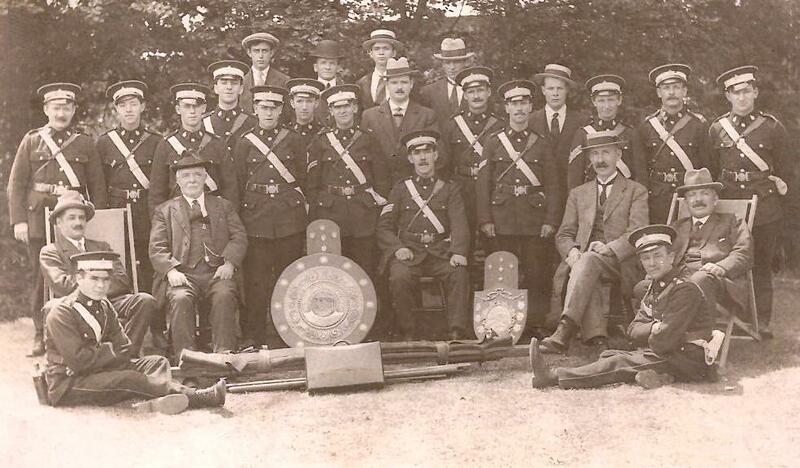 South Wales Borderers 4th Bn. Baghdad (North Gate) War Cemetery. Son of David Davies, of 3, Oakland St., Bedlinog. William East, Private 1330. Died 06/10/1915, aged 28. Welsh Guards, Prince of Wales’ Coy. 1st Bn. Loos Memorial. Son of George and Jane East. William Henry Edwards, Private 81735. Royal Army Medical Corps, 36th General Hospital. Died October 7 1917, aged 32. Mikra British Cemetery, Kalamaria, Greece. Son of Richard and Ann Edwards of Ceinws, Montgomeryshire. William Owen Francis, Private 1410. Died 10/08/1915, aged 22. Welsh Regiment 1st/5th Bn. Helles Memorial. Son of Thomas and Hannah Francis, of 10, Oakland St., Bedlinog; husband of Alice Maud Francis, of 6, Moriah St., Bedlinog. William George. Private 31508. Died 29/07/1916. Welsh Regiment, 19th Battalion. Wimereux Communal Cemetery, Pas de Calais. David Harries, Private 19369. Died 16/12/1915, aged 23. Royal Welsh Fusiliers “C” Coy. 16th Bn. 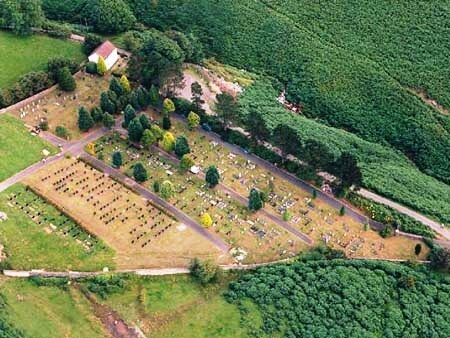 Graigfargoed Cemetery. Son of Thomas and Alice Jessies Harries, of 1, Chapel St., Bedlinog. 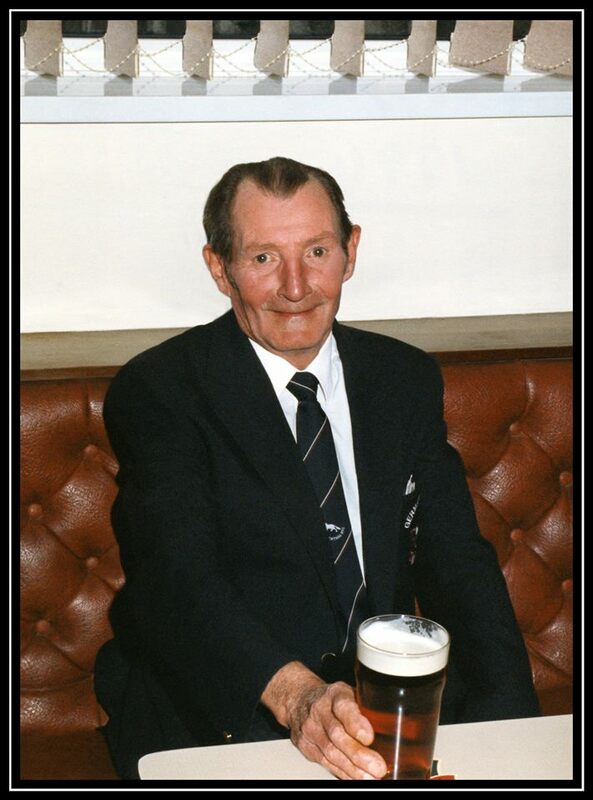 Frank Herbert Howard, Corporal 19904. Died 09/04/1916. South Wales Borders, 4th Battalion. Basra Memorial, Iraq. Husband of Margaret Jane Howard of 126 Falmouth Road, Redruth, Cornwall. H Howells, Second Lieutenant. Died 10/04/1917, aged 26. Royal Flying Corps. Buried in Graig Congregational Chapelyard, commemorated at Cardiff Western Cemetery. 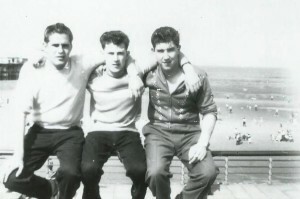 Son of Rowland and Mary J Howells; husband of Margaret Howells, of Hill Crest, Friars Rd., Barry Island. Born at Bedlinog. Charles Ellis Jones, Rifleman S/3405. Died 01/06/1917. 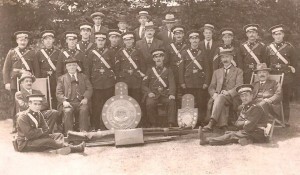 Rifle Brigade, 13th Battalion. 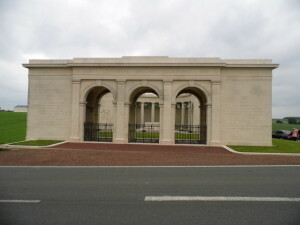 Arras Memorial, Pas de Calais. William John Minton, Private 2763. Died 25/11/1917. Welsh Regiment 17th Bn. Cambrai Memorial, Louverval. Son of John and Sarah Minton, of 1, Garth House. Arthur Orchard, Private 240624. Died 06/12/1917. Welsh Regiment 1st/5th Bn. Kantara War Memorial Cemetery. Of 19 Hylton Terrace, Bedlinog. Horace Montague Price, Private 241733. Died 26/03/1917. Welsh Regiment 1st/5th Bn. Jerusalem Memorial. W Quartley, Private 1830. Died 10/08/1915, aged 23. Welsh Regiment 1st/5th Bn. Helles Memorial. Son of Albert Quartley, of 14, Glynfach Rd., Cymmer, Porth. 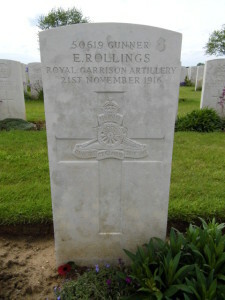 E Rollings, Gunner 50619. Died 21/11/1916, aged 19. Royal Garrison Artillery 78th Siege Bty. Caterpillar Valley Cemetery, Longueval. Son of Thomas Rollings, of 10, Commercial St., Gelligaer, Cardiff. W Sims, Private 16115. Died 04/06/1916. Welsh Regiment 10th Bn. Rue-Du-Bacquerot (13th London) Graveyard, Laventie. Willie Parry Thomas, Private 78054. Died 30/09/1918, aged 19. Royal Welsh Fusiliers 13th Bn. St Sever Cemetery Extension, Rouen. Son of Thomas William and Jane C Thomas, of 1, Primrose Cottages, Bedlinog. Richard Stanley John Thomas, Private 17906. Died 10/06/1916, aged 20. Duke of Cornwall’s Light Infantry 7th Bn. Lijssenthoek Military Cemetery. Son of Richard Henry and Elizabeth Ann Thomas, of 15, Oakland St., Bedlinog. J Whittle, Stoker 2nd Class, K/52930(Dev). Died 31/08/1918, aged 23. Royal Navy – HMS Vivid II. Leyland (St Andrew) Churchyard. Husband of L. Wiggin (formerly Whittle), of 7, Station Terrace, Bedlinog. Not named on Bedlinog war memorial. David Williams, Sapper 139465. 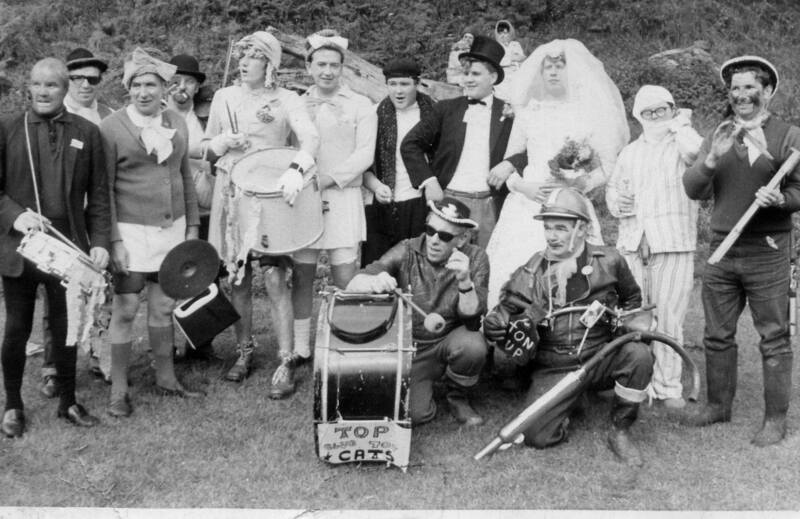 Royal Engineers, 161 Tunnelling Company. Died June 8th 1916. 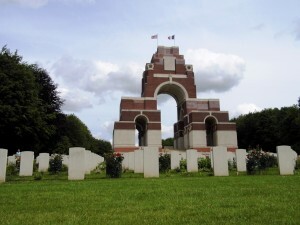 Thiepval Memorial, Somme. Mordecai Williams, Private 15948. Died 03/10/1915, aged 30. Royal Welsh Fusiliers 9th Bn. Graigfargoed Cemetery. Son of Edmund P and Anne Williams, of 59, Pant-du, Port Talbot. Born at Bedlinog. Thomas David Williams, Private 17904. Died 16/08/1917, aged 22. Duke of Cornwall’s Light Infantry 7th Bn. Tyne Cot Memorial. Son of James and Catherine Williams, of 25, Commercial St., Bedlinog. Probably T Williams or D Williams on the memorial. The following men with connections to the Bedlinog area died on active service in the Second World War. John James Adcock, Private 6146795. Died 19/02/1945, aged 29. East Surrey Regiment 1st Bn. Berlin 1939-1945 War Cemetery. Son of Hezekiah and Anna Adcock; husband of Dilys Adcock, of Bedlinog. He died while a prisoner of war in Leipzig. 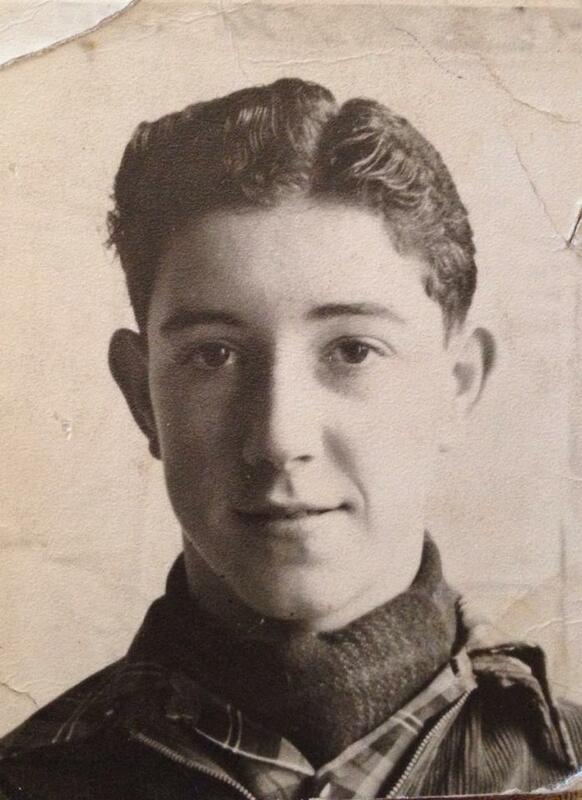 Cyril George Briggs, Gunner 958137. Died 07/05/1944. Royal Artillery, 102 (The Pembroke Yeomanry) Field Regt. Cassino War Cemetery. Husband of Joyce Beatrice Briggs, of Chertsey, Surrey. Christopher William Greenaway, Leading Aircraftman 1282363. Died 15/08/1942, aged 32. Royal Air Force Volunteer Reserve. Graigfargoed Cemetery. Son of John and Dorothy Greenaway; husband of Gladys Mary Greenaway, of Bedlinog. Thomas Aldwyn Harvard (Havard on memorial), Lance Bombardier 965087. Died 01/12/1944, aged 27. Royal Artillery 11 Field Regt. Brookwood Memorial. Son of David W Harvard and Phoebe O Harvard, of Bedlinog. Herbert Edwin Hocking, Marine CH/23867. Died 11/03/1941, aged 42. Royal Marines. Graigfargoed Cemetery. Son of Joseph and Elizabeth Hocking; husband of Millicent A Hocking, of Bedlinog. Born 10 November 1899. Enlisted 12 September 1917. George Francis Jenkins, Sergeant 1312853. Died 03/06/1942, aged 30. 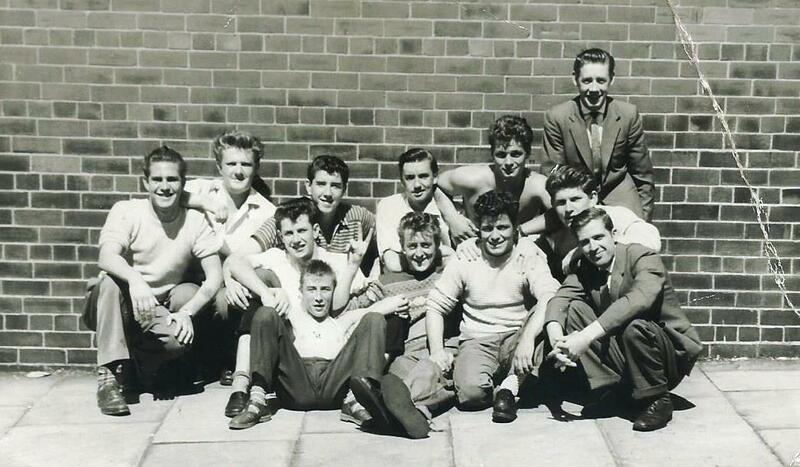 Royal Air Force Volunteer Reserve 102 Sqdn. Runnymede Memorial. Son of George and Rachel Jenkins, of Bedlinog. Price Jones, Private 13067281. Died 06/12/1940, aged 27. 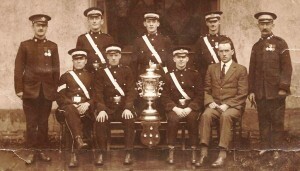 Pioneer Corps. Graigfargoed Cemetery. Son of Morgan Lewis Jones and Mary Ann Jones, of Bedlinog. Thomas George Kingdon, Flying Officer. Pilot 171736. Died 27/04/1945, aged 25. Royal Air Force Volunteer Reserve 228 Sqdn. Caerphilly (Taffs Well) Cemetery. Son of Edward John and Margaret Kingdon, of Bedlinog. Marsden Mordecai Phillips, Lance Bombardier 840848. Died 20/04/1941, aged 28. Royal Artillery 7 Medium Regt. Athens Memorial. Son of William John and Elizabeth Matilda Phillips, of Bedlinog. William George Nicholas (WJ Nicholas on memorial), Bombardier 1062647. Died 04/02/1944, aged 39. Royal Artillery. Rangoon War Cemetery. Son of John and Hannah Nicholas; husband of Megan Nicholas, of Bedlinog. William Thomas Roberts, Fusilier 4200507. Died 11/06/1941, aged 25. Royal Welsh Fusiliers 7th Bn. Graigfargoed Cemetery. Son of William J Roberts and Mary A Roberts, of Bedlinog. H Shotton. Possibly: Harold Shotton, Cook (O) D/MX 81186. Died 01/05/1942 aged 27. Royal Navy – HMS Punjabi. Plymouth Naval Memorial. Son of William and Florence Shotton; husband of Megan Shotton, of Nelson (Nelson in Lancashire, according to Commonwealth War Graves Commission). Gwynfor Thomas, Able Seaman D/JX 217225. Died 15/03/1941, aged 21. Royal Navy HMS President III. Plymouth Naval Memorial. Son of Haydn and Olivia M. Thomas, of Bedlinog. Walter L Webb, Private 5569411. Died 16/07/1944, aged 28. Wiltshire Regiment 5th Bn. St Manvieu War Cemetery, Cheux. Son of Mark and Margory Webb; husband of Etta Mary Webb, of Bedlinog. Not named on Bedlinog war memorial.